Well, we’ve all heard it enough! We love you, just not on our adventure courses! This year, we are putting you on center stage! We do want to watch you & your machine navigate the course at speed! We are putting a lot on the line as we will watch you put it all on the line! And we will be there to spectate and cheer you on! Axial will design a designated enduro course just for this class! This will be a fast paced physical event. Physical endurance, quick reflexes, and knowledge of your rig are key. We are very stoked to announce ALTRA as our premier adventure shoe brand as the title sponsor, hence the ALTRA Ultra 5K Enduro! OH YEA! This is going to be serious! Must be 18 years+ of age to compete in this class. ALTRA ULTRA 5K ENDURO – TRANSPONDERS REQUIRED!!! AXIALFEST2016 is using the MyLaps Sports Timing for official timing of the ALTRA ULTRA 5K ENDURO. Thus, you will need a TRANSPONDER! So, we have to ask you if you own a transponder already? If so, does it work with MyLaps? If not, we have a a couple of solutions. We have ten battery powered loaner transponders available. We will pick your names according to when you registered for AXIALFEST. Once we have pre-reserved these 10, you will have to make a choice. Purchase one or forfeit the race. Axial will be the ones issuing the 10-pre-reserve’s. We will issue an email list to CKRC Hobbies as they are the ones who will have the transponders on-site at AXIALFEST. Do not contact them for the transponder reservation information as we will issue an email to CKRC and yourself. We will require a credit card number on-file for possession of the loaned transponder. Transponders will be available for pickup – installation on Wednesday July 13th and start line testing on Thursday July 14th. If the transponders are not dutifully returned to the ULTRA Start station immediately after the race, we reserve the right to charge the credit card on file for the full amount of the transponder. *Tech note: The AMB timing system will recognize four different types of transponders; current MyLaps 2 wire and 3 wire, older AMB RC red transponder, and the MTX PTX clone transponders. Either of these will work. This will be the premiere class for AXIALFEST2016!!! Yes, we are choosing the right to minimize vehicle allowances to showcase the ATHLETES of R/C! Rule #01: Eligible chassis: Wraith, Yeti, Bomber, EXO, SCX10, AX10 (No Yeti XL’s). Chassis can be modified, but must retain a portion of the original chassis. Rule #02: No aftermarket tube chassis or aftermarket frame rails. Rule #5b option: Must retain the original Axial plastic tube-chassis (AX10 / Wraith / Bomber / EXO / Yeti). Slight modifications may be made but must retain 90% of the original design. Rule #06: Axial transmission or an aftermarket transmission housing using Axial gear format. Rule #10: BE MENTALLY & PHYSICALLY PREPARED. A stock rig allows you plenty of time to blueprint and perform all preventative maintenance. This also allows you time for physical conditioning. We weren’t started in some corporate office brainstorm session, but in the back room of a Wasatch Mountain running store. Our founders, elite athletes and running store managers, wanted a shoe that let you run and hike the way you were born to. 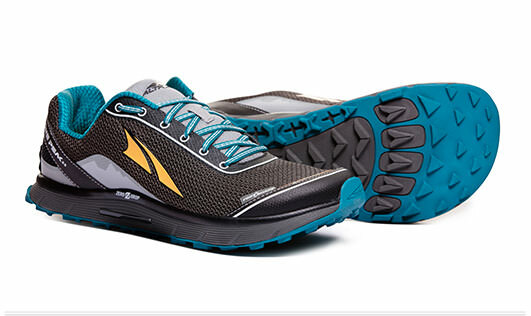 Altra’s cushioned Zero Drop platform and FootShape™ toe box is loved by road and trail runners as well as hikers and adventurers. On any given weekend Altra shoes can be found setting Appalachian trail thru-hike records, winning 100 mile Ultra marathons or bringing smiles to those chasing freedom in the outdoors.